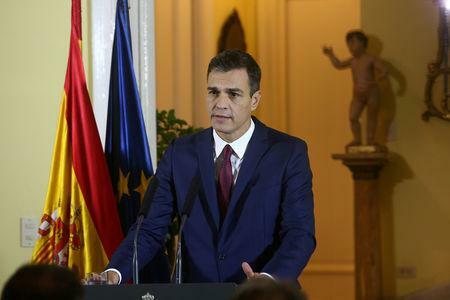 As talks among Spanish, British and EU officials continued on Saturday, Spanish Prime Minister Pedro Sanchez said he was ready to thwart his British counterpart May's hopes of seeing EU leaders sign off on promises of close ties with London after Britain leaves the bloc in March if he did not get his way. 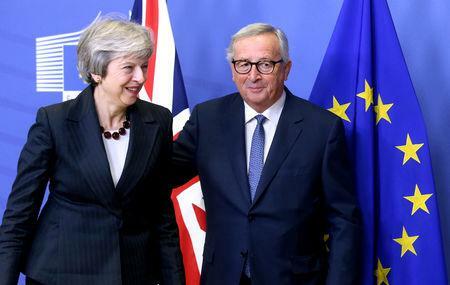 EU diplomats and officials said there was still no clear breakthrough on Saturday morning, hours before some of the other leaders must set off for Brussels ahead of Sunday's breakfast summit -- few will be happy if plans change. Brussels diplomats and representatives of other governments across Europe said they did not believe Madrid would upset the careful choreography of Sunday's summitry, when May and her 27 EU peers will fly in for a couple of hours in the morning. But they also heard strong words from Spanish ministers that left them unwilling to call Sanchez's bluff without further talks. "The guarantees are still not enough and Spain maintains its veto to Brexit. If there is a deal, then it will be lifted," he said when it was already late on Friday in Europe. "If there is no deal ... the European Council will most likely not take place." Spain can expect its European allies to swing more clearly behind its 300-year-old claims to sovereignty over "The Rock", a British naval base on its southern coast that is home to some 30,000 people whose economy faces major questions after Brexit. Diplomats said there was no doubting the passion behind the Spanish arguments when advisers to the 27 EU leaders met in Brussels on Friday to prepare the summit: "The Spanish are very proud people and this is absolutely important for them," one participant in the talks told Reuters. "We have to have a solution. I am quite sure we will have one." In Germany, a government spokesman was confident a solution would be found in time for Sunday's summit.